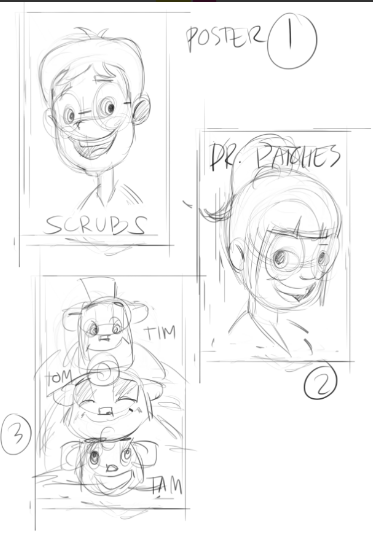 Nurse Scrubs, Dr. Patches and meerkats Tom, Tam and Tim. Image courtesy of Tiny Docs. His mind raced ahead 20 years. While he could envision fulfilling his plan of opening a practice specializing in entertainment law, he was no longer sure he wanted to. So Sunny began seeking a new goal. Six months later, he found it: He would create animated videos to help kids better understand scary stuff like doctor visits, hospitals and medical procedures. Yep, that was his plan … even though he didn’t know how to draw. Or make videos. And had zero training in medicine, psychology, social work, education or other necessary disciplines. Then again, he did have one thing going for him: experience being that scared kid. Five years later, Sunny is the CEO of Tiny Docs, a company that’s begun putting out the product he wishes would’ve been available to him. Tiny Docs has posted about a dozen videos on YouTube, with more on the way. The company has gotten buy-in from every sector that matters, with perhaps the best validation coming from a former Sesame Street executive. She liked it so much she joined the board of directors. I learned about Sunny and Tiny Docs last year, when they were top qualifiers in my organization’s EmPOWERED to Serve Urban Health Accelerator. It’s my pleasure to share their story and draw attention to this clever, creative way to make getting healthy a little less painful. Everything stems from this fact: Sunny was a klutzy kid. Growing up in the Philadelphia area, he fell out of trees and got hurt on playgrounds. Bones broke and gashes had to be stitched shut. 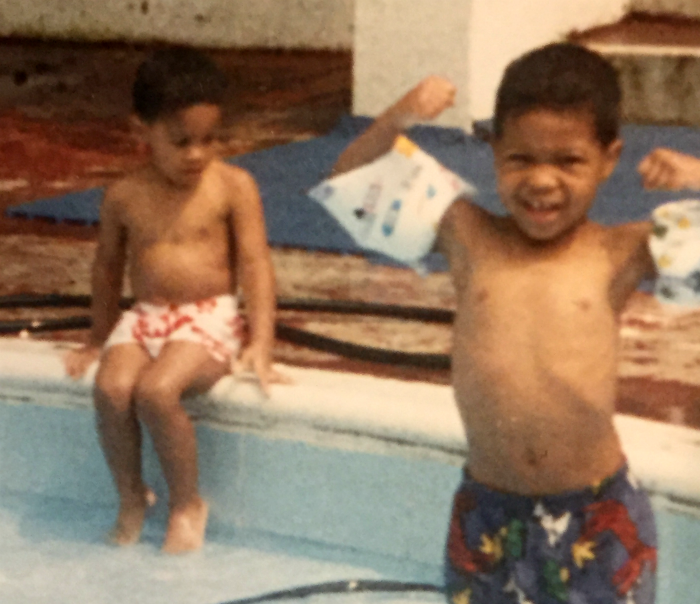 At roughly age 5, Sunny (right) flexes while swimming with his brother Damon. Photo courtesy of Sunny Williams. Then came the time in grade school when he was playing basketball and caught another kid’s finger in his right eye. Sunny’s retina was scratched and a tear duct was clawed out. In the ER, he was understandably overwhelmed and scared. But it’s important to know one more thing about young Sunny: he was a shy, high-strung momma’s boy. So his fears zoomed to losing his vision and maybe even the eye itself. He needed surgery, but not until the next day. That meant more time to worry, comforted only by a manila envelope filled with pamphlets. His eye healed, for the most part. The new duct leaks sometimes, with tears dripping at an awkward angle. Yet it was the emotional scars that would change his life. Photo courtesy of Sunny Williams. In the Hollywood version of Sunny’s story, the kid overwhelmed by doctor-speak becomes a doctor with a gift for relating to children. But med school never interested him. People always told Sunny he’d make a great lawyer, so he followed their advice. When the doubts set in, and he dreaded each workday, he kept going to his Chicago office because he had bills to pay. Meanwhile, his friends were getting married and starting families. When several friends mentioned the stress of visiting the pediatrician, it caught Sunny’s attention. When they mentioned their kids receiving pamphlets, his epiphany arrived. The cast of characters introduced themselves to Sunny one night in a dream. 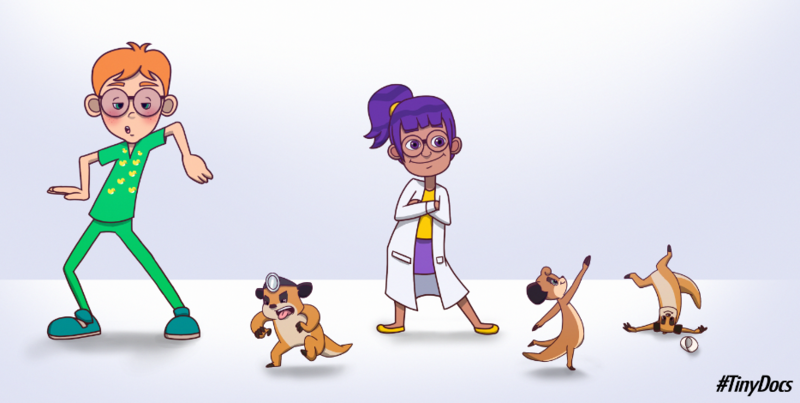 He awoke and scribbled notes about a purple-haired girl named Dr. Patches, a blonde guy wearing green scrubs dotted with rubber duckies named Nurse Scrubs and a trio of meerkats named Tim, Tom and Tam. From Sunny’s dream to an artist’s sketch pad. Image courtesy of Tiny Docs. Doctor friends said he was on to something. Others saw potential, too. Not everyone, of course. “Much to the disappointment of my parents, I had to go with my passion,” Sunny said, laughing. He found an illustrator to draw the characters, writers to create storyboards and digital animators to put it all together. 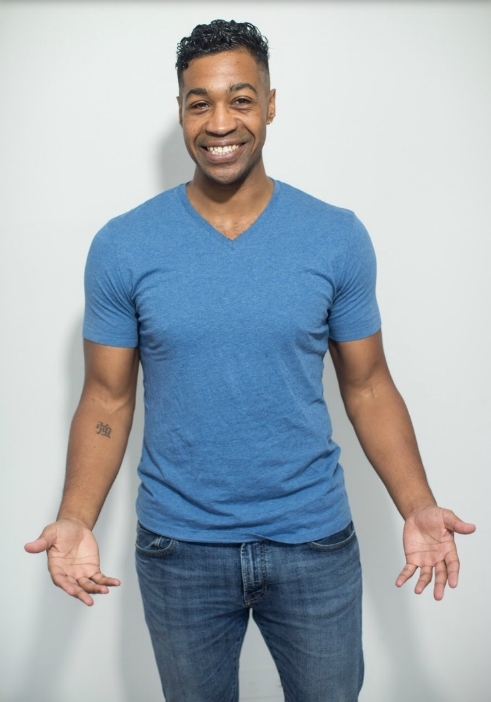 A Kickstarter campaign led to a fellowship with Camelback Ventures, an accelerator for minority entrepreneurs with early stage ideas that can help people. That led to another fellowship with another social-impact accelerator, the Unreasonable Institute (now called Uncharted). Through Unreasonable, Sunny met Charlotte Cole, former senior vice president of global education at Sesame Workshop. A boy named Kevin is pretending to be a pirate when a sore throat stops him. Mom takes him to Dr. Patches, Nurse Scrubs and the meerkats. Patches explains that the problem is his tonsils and they need to come out. Scrubs says that after the procedure, Kevin will get ice cream – if it’s OK with Mom. A cute final scene pulls it all together. No spoilers here; click the video above to see for yourself. Like the pilot episode of a TV series, this cartoon (or, in the Tiny Docs vernacular, “caretoon”) introduces each character and begins its mission of making things less intimidating. It covers a doctor’s visit and surgery, and spells out the words tonsillectomy and anesthesia. Sunny adds that it’s quite intentional that the doctor is female and the nurse is male (a girl and a boy, actually, as both are drawn as school-aged children). The next goal is becoming more diverse. That will happen through new characters in upcoming episodes. Image courtesy of Tiny Docs. The Tiny Docs homepage includes testimonials from a parent, a pediatrician and a third-grader. Sunny’s favorite feedback involves a girl named Avery who was worried about undergoing anesthesia. Seeing Dr. Patches explain it to Kevin calmed her. Another important demographic that likes the Tiny Docs product: paying customers. These include doctors’ offices, hospitals and health care systems. As CEO, Sunny has to focus on his company’s bottom line. His guiding principle, though, is that producing great videos will ensure plenty of profit. Thus, his benchmark for success is the company’s new tagline: chasing a billion smiles in 100 languages. “We’re developing a counter that will be on our website soon,” he said. 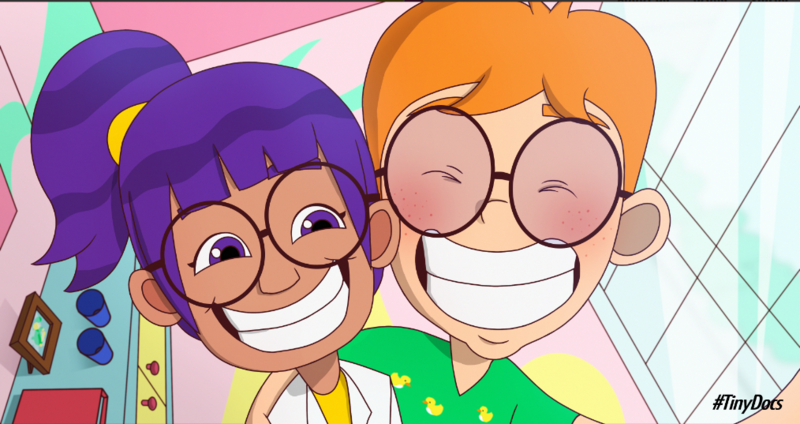 “‘Ready, Set, Breathe!’ was accepted into the Children’s Film Festival and we completed the Spanish version of `Shiver Me Tonsils.’ I could not be more excited about the future.